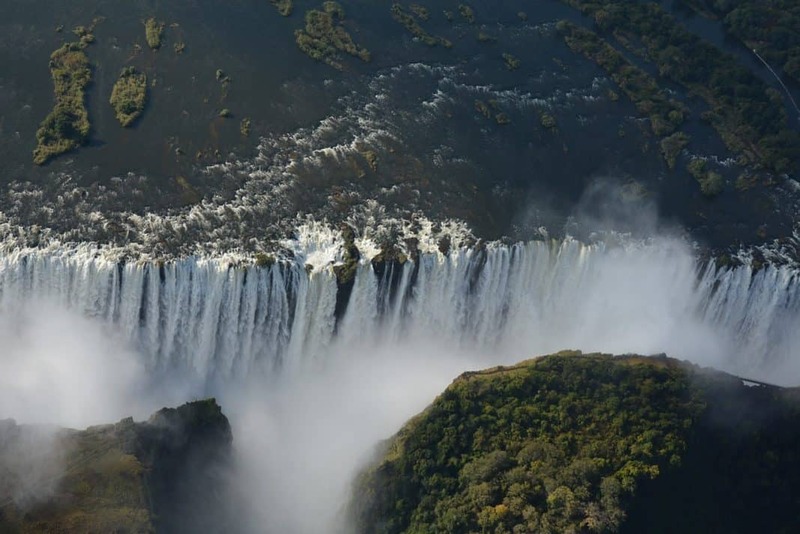 Livingstone is home to the Victoria Falls, one of the most spectacular natural wonders on Earth. 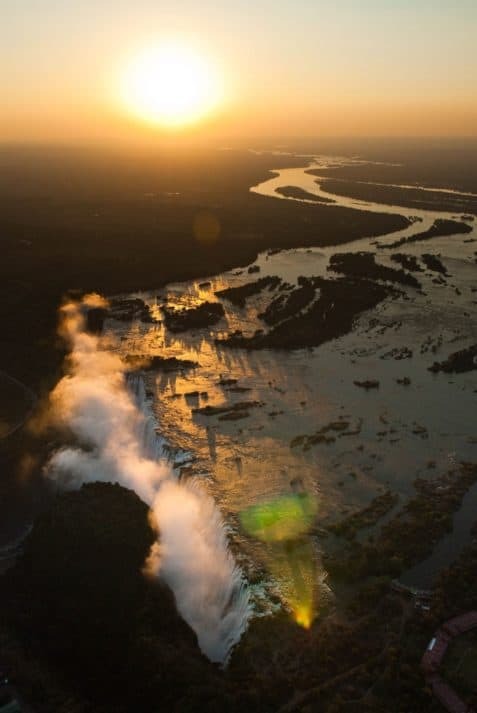 It’s known locally as “Mosi-oa-Tunya” (translated: ‘the smoke that thunders’) and is located between Zambia and Zimbabwe on the Zambezi River. 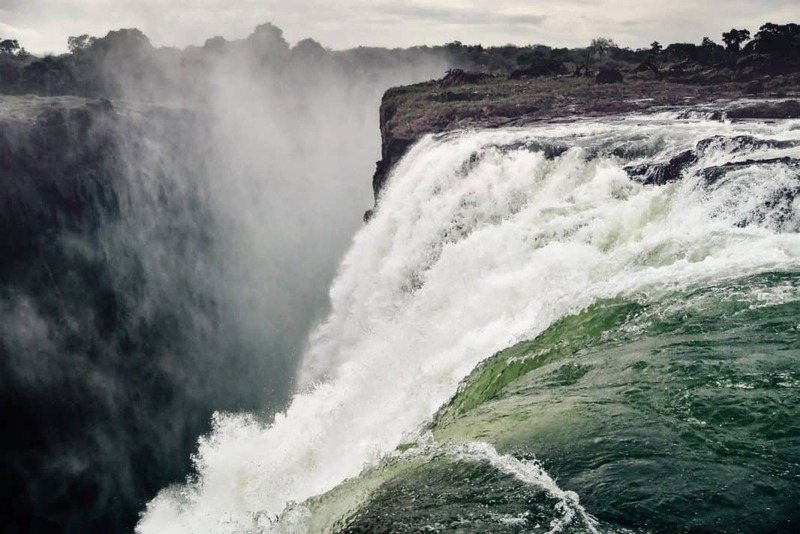 The thunderous waterfall is also the largest curtain of water in the world, spanning more than 1,700 meters wide and dropping over 90 meters into the Zambezi Gorge at a rate of about 550 000 cubic meters every minute. Just look at all that water! 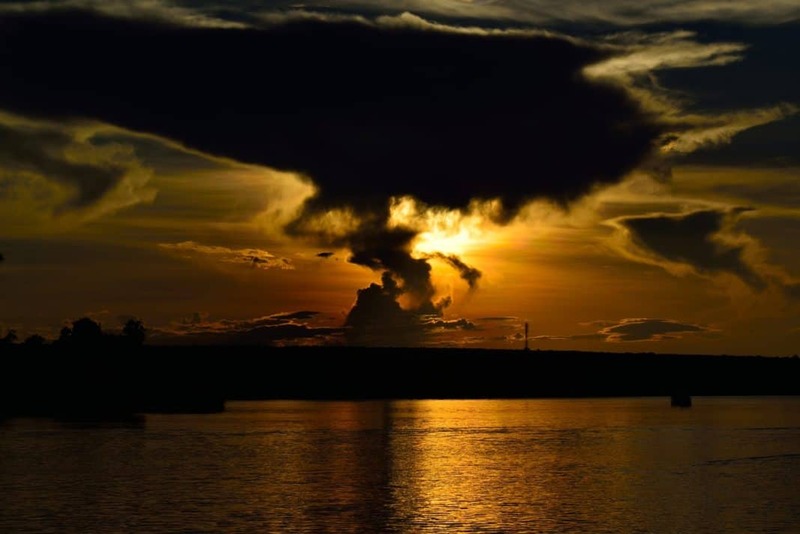 It truly is a sight to behold and now is a good time to pack your bags and go on an adventure. Need an itinerary? Don’t worry, we have your back. 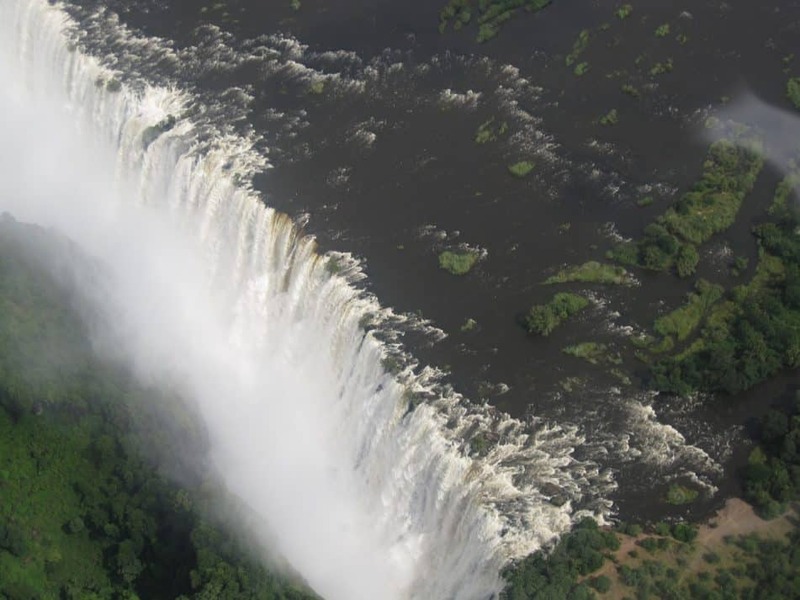 A visit to the Falls has to be the first thing on your agenda, for all the wonderful reasons discussed above. 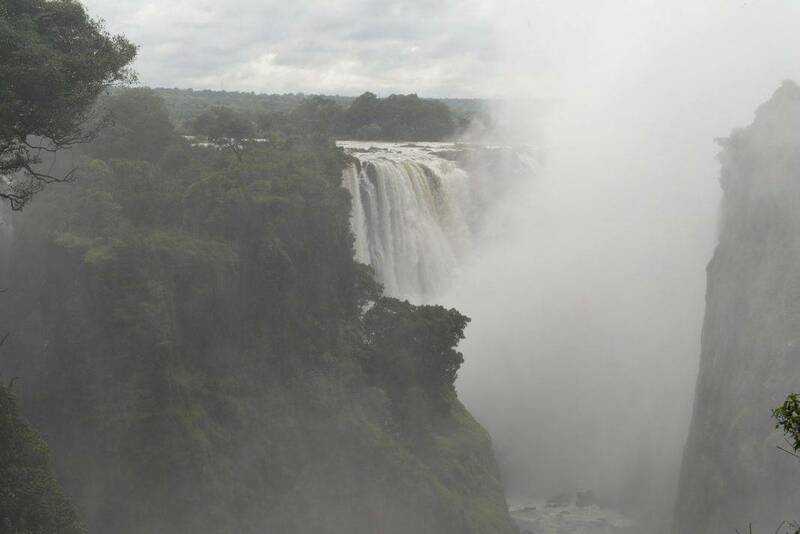 The ‘smoke’ from the waterfalls can be seen up to 50 kilometres away, and the ‘thunder’ of the water can be heard from the surrounding areas. 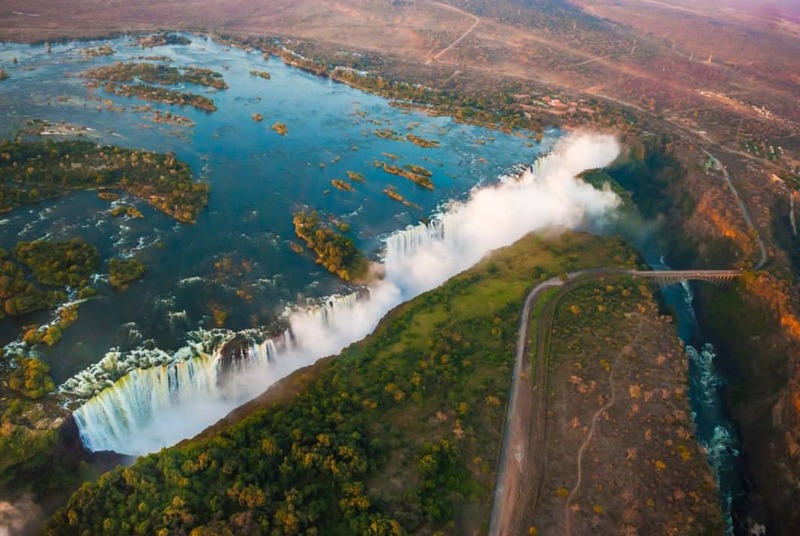 Book a 30-min helicopter flight to take you over the Victoria Falls, and you might even be able to spot a few elephants and giraffes from up there too. You know you want to. 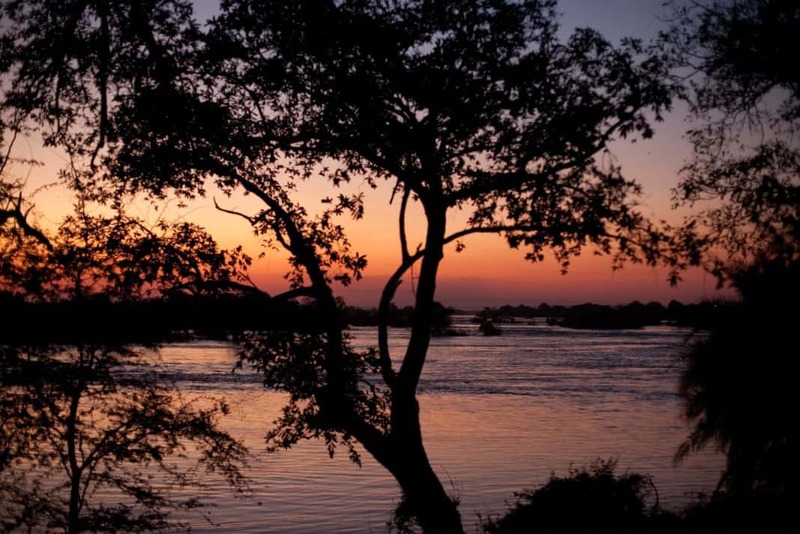 The 5-star resort offers the ultimate luxury experience, and the views from the deck overlooking the Zambezi will leave you speechless. 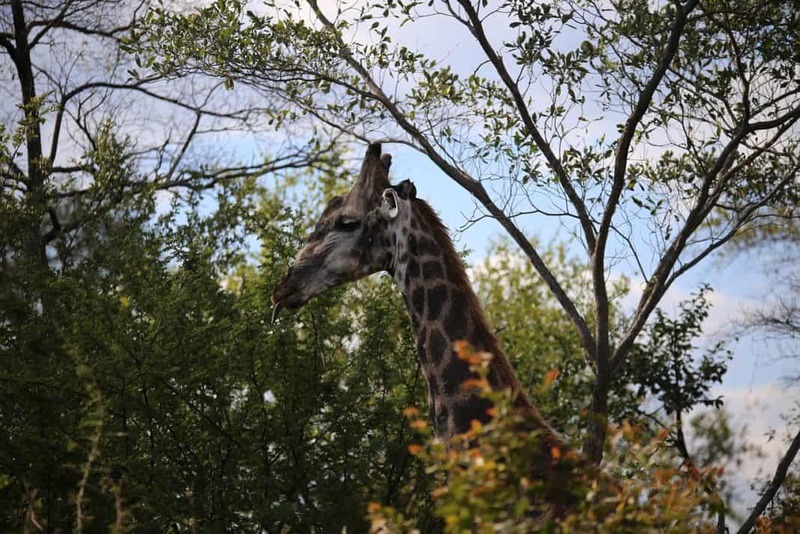 Keep an eye out for zebras and giraffes; they roam around the gardens at times. 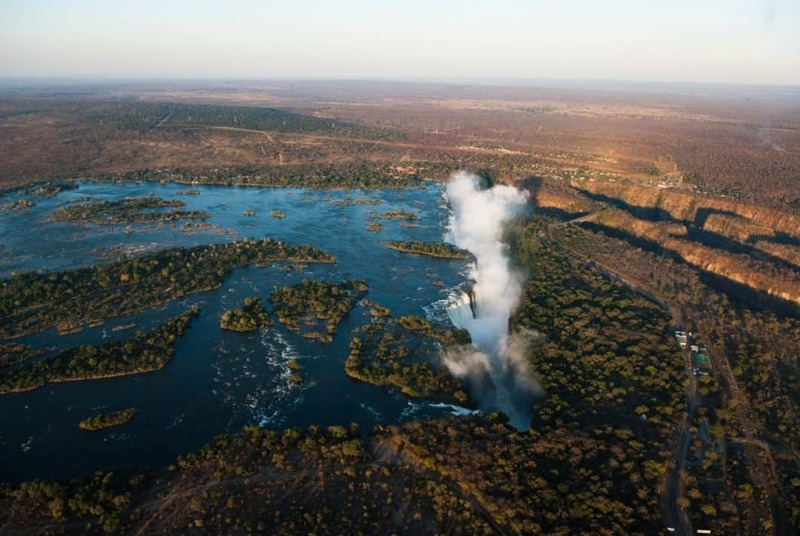 Guides are available for a trip to the pool, located right at the edge of the Victoria Falls. It’s a once-in-a-lifetime experience and safety are the guides’ number one priority. 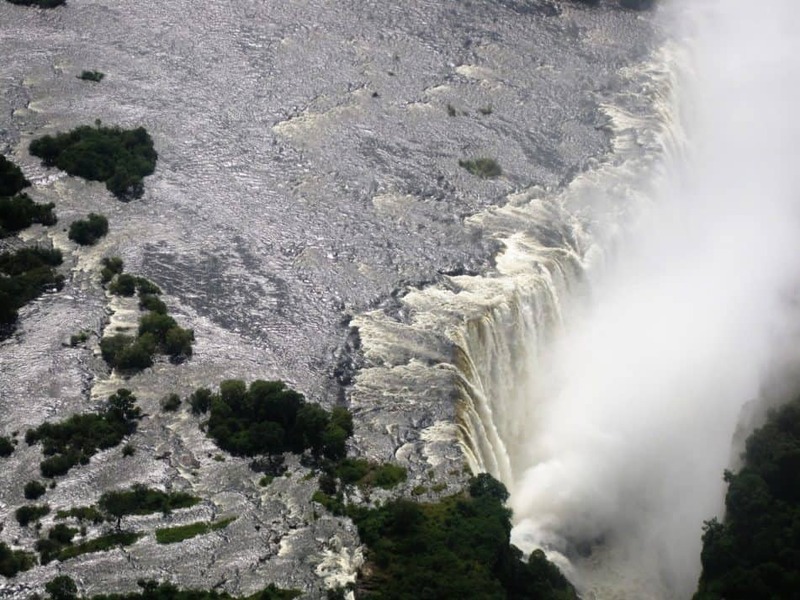 Access to the Devil’s Pool is seasonal and can only be done when the water level of the Zambezi River is low enough. But fear not! From late August to early January is the perfect time for a visit. Take an hour or two out of our day to meander around the islands from the safety of your cruise deck. 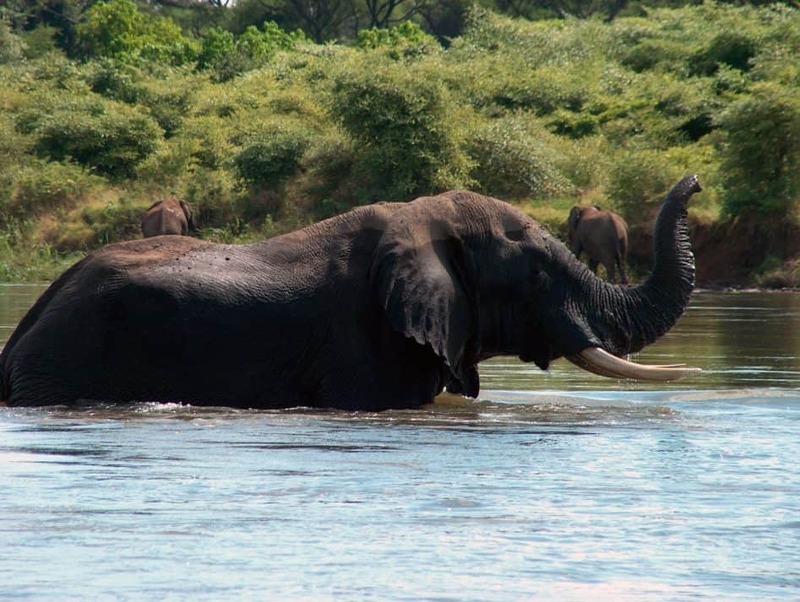 Keep an eye out for all the wildlife along the river banks like elephants, hippos and crocodiles. Couple that with sipping traditional cocktails out on the deck during the fading twilight hours (from around 18:00) and you’ll be in paradise. This sunset, though! Well, now. It’s rain season from November to April, transforming the surrounding areas into a thick green bush. 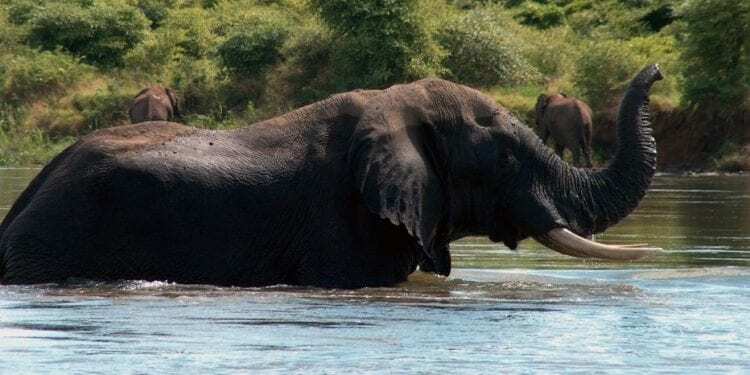 The Zambezi river is at its lowest levels during November, perfect for a visit to Devil’s pool, and the temperatures aren’t as high in November and December is it is during August and October. Backpackers on the hunt for holiday accommodation can stay at the Fawlty Towers dormitory for as little as GBP 45 / AUD 80 per week, but if luxury and privacy is more your thing, then the AVANI Victoria Falls Resort Lodge is for you, and breakfast included. Campers looking for a break away from the bustling city life can head over to the Simoonga Thandizani Volunteers Camping Site. There are bungalows available with spectacular views, too. And free WiFi! And if you wanted to head out to Kitwe, you might want to take a look at some of the holiday accommodation over there. Breakfast is included at Cuppoccinos Lodge, and they have a risk-free cancellation policy. The Sherbourne Guest House and Roadview Park Hotel are both in high demand.